breadfruit: abundant, delicious and free! reliable internet in puerto rico? balcony mosquito control tactics that work! Every time we drove past the big yellow and red “MARBETES” sign we felt it, even if Holly occasionally left it unsaid: “We probably SHOULD figure out how to renew our vehicle registration sticker….” Well our sticker or “marbete” expires at the end of this month so I could procrastinate no longer. The following is the result of my wait-till-the-last-minute on the ground and online research. In Texas, vehicle inspection and registration are two separate processes requiring two separate stickers. Here in Puerto Rico, they are combined along with enforcement of mandatory liability auto insurance, so a bit more coordination is required. In the end, I think it’s kind of nice to only have one date to worry about. Around 45 days before your marbete is to expire you are supposed to receive your renewal form in the mail. If you don’t receive them, which isn’t uncommon, you can wait in line at the regional CESCO (think DMV) to receive it OR you could register on the DTOP website and print them out at home. You can probably guess what my preference was. 🙂 However, when I tried to create an account on the DTOP system, it failed FOUR times with what looked like a programming error. I figured the site wasn’t working, so I started preparing myself mentally for a trip to the local CESCO. Just before I shut down my computer, I decided to try to register once more, even though I thought it was a complete waste of time. To my surprise (and relief), it actually worked! I said all that to say, if the system doesn’t allow you to register right away, don’t give up! (Update – 6/27/2018: We changed our address so I needed to update our address in their system. Unfortunately, I couldn’t remember our password. I tried in vain to get the system to send us our password or allow me to reset it. As the date drew closer, I realized I had no choice but to drive to the CESCO in Aguadilla. A quick search online indicated that it didn’t close until 6pm so we headed out just after 4pm. Upon our arrival at around 4:45 pm, we saw that the doors were closed. I asked a couple of ladies who were standing outside what time they close the doors and she said 3:30pm! However, she told me I could to an inspection station and have them print out the form we needed to renew our marbete. We went to the closest inspection station and told the attendant our situation. He assured us this was fine and he could print out the form we needed. I looked over his shoulder and jotted down the link as he pulled it up. After the inspection, I tried the URL when I got home and found it worked! If you are having trouble with the link above, try the link below. I entered my license plate number, including the dash, and once logged in, selected “Licencia de Vehículo” for my car to obtain the renewal form. 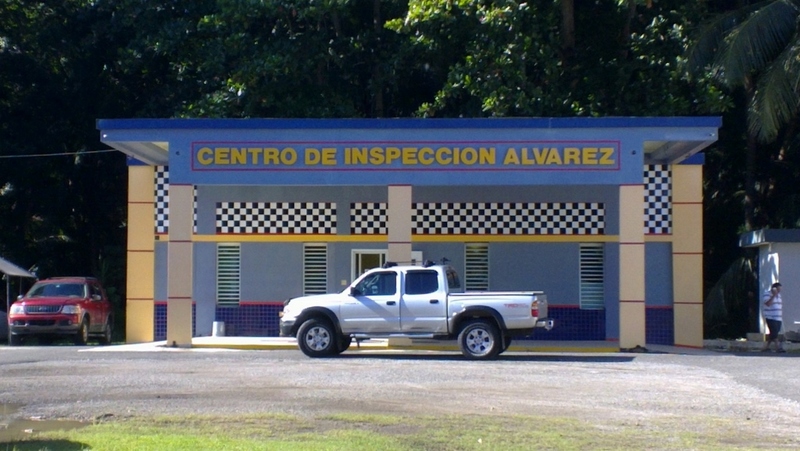 So with papers in hand we headed for the closest Centro de Inspeccion in Aguada. Unlike the inspections in Texas which are more thorough, the inspections here are extremely quick because the only thing they check are your emissions. It costs $11, and like many places here, they ONLY accept cash. Like in Texas, auto liability coverage is mandatory here. If you don’t have proof of insurance when you register your vehicle, they will charge you an extra $99 for compulsory minimum liability insurance which only covers up to $4,000 in damages. This is what we did last year. A few months back, some friends of ours mentioned that they purchased private insurance for a couple hundred dollars. Having the basic coverage, I didn’t give it much thought at the time. However, in researching this post, I spoke to them again to get the exact numbers and I was stunned. The insurance they have through Universal costs about $200 a year for something like $300,000 in liability coverage! Holly and I met with Brenda, their insurance agent in Rincón who was able to get us a quote of $180 a year with Integrand. Needless to say, she is now our insurance agent too! Paying another $80 to $100 for an additional $296,000 dollars in coverage strikes me as a no-brainer. Also, since we only have one car, we decided to add roadside assistance for an additional $40 annually. BTW, I can’t recommend Brenda enough. Unlike many service providers on the island, Brenda is extremely responsive and goes out of her way to help. Send her an email or give her a call at 787.646.3479. After we receive our proof of auto insurance we will have everything we need. 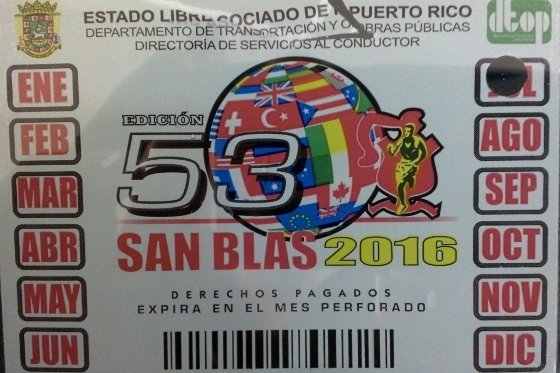 All we have to do bring our documents and pay our vehicle registration fee of $85 so we can receive our marbete for the upcoming year. Conveniently, this can be done at a number of places including Treasury Department collection centers (colecturías), the inspection centers, and most local bank branches. We are planning to go to the colecturia in Aguada next week. Before I started working on this post I was planning to just pay the $99 dollars for minimum auto insurance and be done with this before the weekend. But after seeing the numbers, I believe it to be well worth taking another week to get the additional coverage. Hopefully, we won’t need it but if we do, $4,000 won’t go very far if someone gets hurt or an expensive car is involved. This is a no brainer that smart people still don’t get. The marbette insurance is a ripoff. $4000 wont cover much. If someone get hurts your in trouble. The Judge will look at you and take everything you have and give it to someone who has nothing even if its their fault. We used CACIO and understand they are the better choice. I had an accident and they did right by me. LOL we also made a blog post about this same thing. Do you have a website or something for CACIO? Can’t find them. This is great to know, thank you! Hello, I just want to clarify a bit about the liability insurance you mentioned. The $99 minimun insurance covers up to $4,000 in damages to the other(s) auto(s) involved in an accident. It does not cover for any phisical damage or other property affected. In the case of a private coverage like Universal, Integrand etc, you can choose your coverage in the areas if Property Damage (includes any other’s property affected un an accident) for $10k, $25K, $50K. You choose also the coverage for Phisical Damage you may be liable for $10/$20K, $25/$50K or $100/$300K. The lowest amount is coverage for phisical damages to one person while the highest is for multiple persons affected. So in the $300k coverarage you mentioned it must be up to $100k in phisical damages to one person and up to $300k for multiple persons affected in an accident. Thank you for the clarification Obeth. Kevin on best deal on unlimited data anywhere! David on best deal on unlimited data anywhere!